Sharing it on Instagram helped me to realize how many other Buffalo Check lovers are out there. 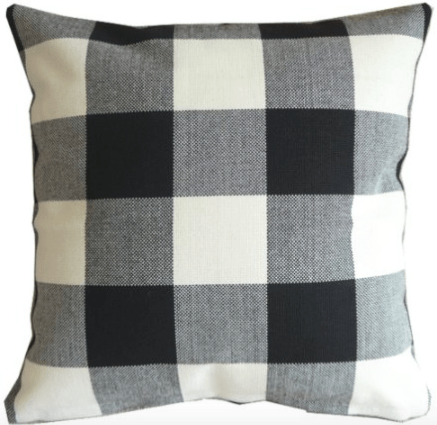 Because I’ve been swooning over ALL THINGS Buffalo Check I decided to share a roundup of a bunch of Buffalo Check items that have caught my eye. 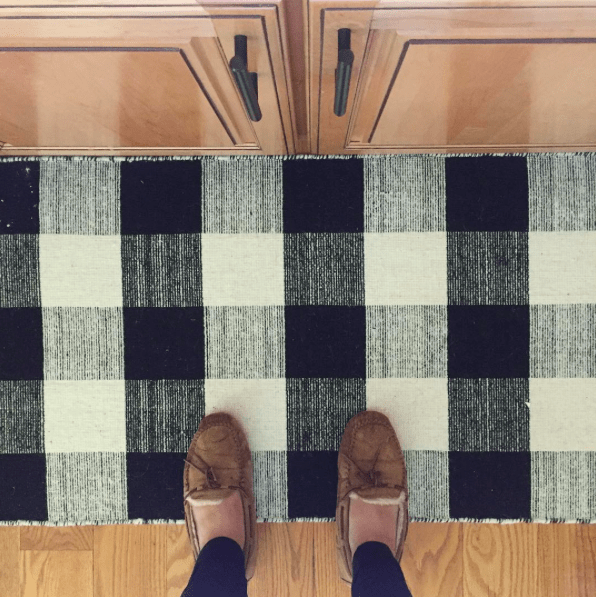 A. Rug– I love this rug so much that I own two of them! B. Chair– This chair is absolutely amazing, but also comes with a crazy price tag. I can’t imagine actually purchasing it, but I can imagine reupholstering a chair with a buffalo check fabric for FAR less. 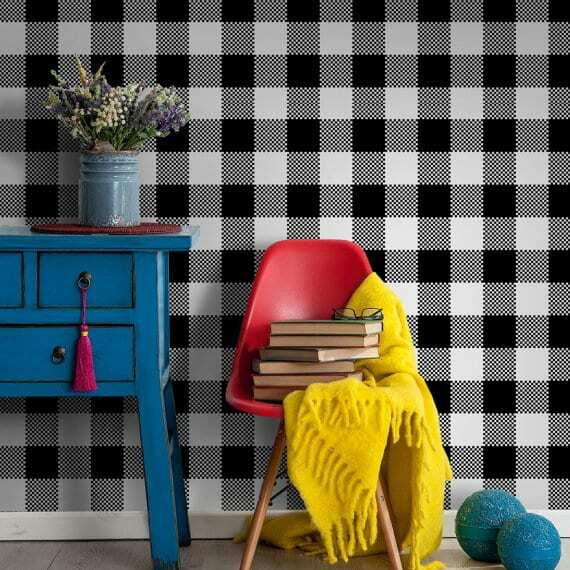 C.Wallpaper– This is removable wallpaper, but I’ve also seen some great DIY’s where bloggers have painted Buffalo Check walls. I think it’s a super fun way to accent a room. D.Pillow– I’ve had this pillow for a while now, and love using it year round. It also goes great with just about any other kind of pillow. 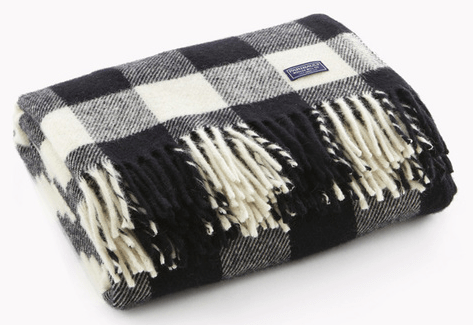 E.Throw Blanket– This blanket would be just perfect for Fall. Or Christmas. Or anytime. F.Table Runner– This runner would look awesome in any home. I feel like with black and white you can’t go wrong. 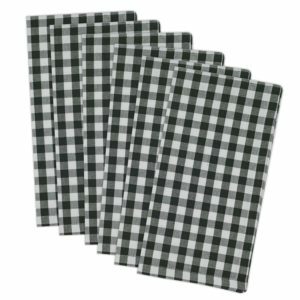 G.Cloth Napkins– OK, so you couldn’t use these napkins with the runner, because that would be Buffalo Check overload, but these napkins would be great on a Thanksgiving table. 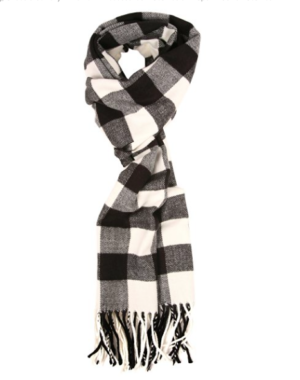 H.Scarf– This scarf is only $9! It would match just about everything and be the perfect Fall accessory. 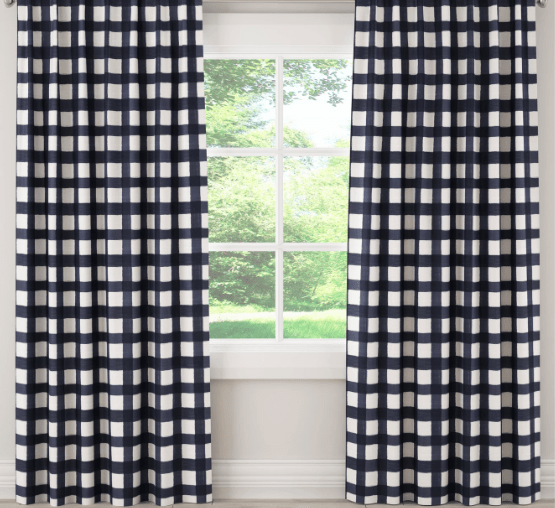 I. Buffalo Check Curtains. Aren’t these amazing? I could see them in a boys room, a nursery, or even a living room! 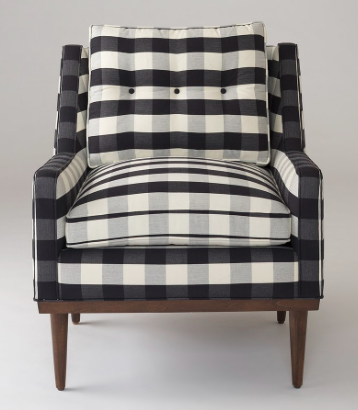 Although I’m loving everything buffalo check, I’m sure there’s a line I’m coming close to crossing of too much buffalo check. Someone might need to stop me. If you’re loving this trend as much as I am I hope you loved this roundup!